There is a new health crisis hiding in plain sight. It may be one of the biggest health concerns we face today. And, I am seeing some of my friends and family struggling with symptoms of this health crisis. I’m talking about metabolic syndrome. Many people may have heard the term metabolic syndrome, but they really don’t know much about it. 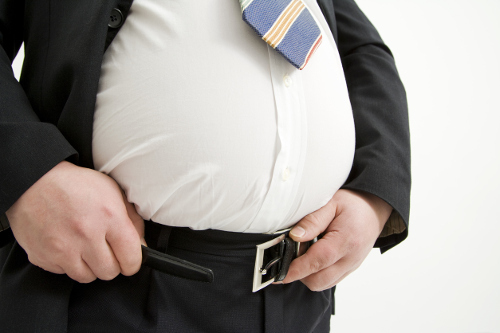 Despite this, anyone over the age of 60 has a 40% chance of developing metabolic syndrome. Those are some eye-opening numbers. And, I don’t know about you, but I want to learn more about it…and how to avoid it. So, what is this new health crisis, and why are so many people being affected? Metabolic syndrome is a metabolic disorder. It’s not a single disease, but rather a combination of three or more health issues. So if you have three of any of these, you should be concerned: abnormal cholesterol, elevated blood sugar, high blood pressure, abdominal obesity, and high triglyceride levels. The term “metabolic” refers to the biochemical processes involved in the body’s normal functioning. So, when you have metabolic syndrome, your system is malfunctioning. Metabolic syndrome increases your risk for some serious health conditions, like heart disease, diabetes, and stroke. Many people are suffering from this health condition because of poor food choices and environmental factors. If you are diagnosed with even one of these conditions, it is time to get your health back on track! As a firm believer of healing through nutrition, I was very excited to see new research showing how ginger may be able to fight metabolic syndrome. According to the research published in the Annals of the New York Academy of Sciences, ginger may protect against obesity, diabetes, and chronic disease, all of which are associated with metabolic syndrome. Due to the growing health problem of metabolic syndrome, there has been a lot of interest in how to treat and prevent it, including non-pharmaceutical options. In fact, this is the reason why I find the study so interesting—I love it when food can be used as medicine! Ginger is one of the most widely consumed superfoods in the world. It has a long history of use as a herbal medicine to treat a variety of medical conditions, thanks to its various phytochemicals and antioxidants. Consuming ginger can boost metabolism and calorie burning, as well as reduce appetite in overweight adults who are trying to slim down, according to studies. It’s also been linked to positive changes in cholesterol, blood sugar, blood pressure, inflammatory proteins, and liver health. Because this spice can help control all the health problems associated with metabolic syndrome, it essential to consume it if you are trying to avoid this growing health issue. Experts haven’t reached a conclusion on a recommended dosage for preventive purposes, but they say that consuming more of the spice is a good idea due to its powerful health-promoting properties. You can consume ginger as a supplement or an ingredient in food and drink. Now that I know more about metabolic syndrome, I am going to try adding more ginger into my diet. It tastes great and it is a fantastic way to add some spice to otherwise boring dishes! MacMillan, M., “How Ginger Fights Body Fat,” Time, May 25, 2017; http://time.com/4787027/ginger-body-fat-obesity/, last accessed July 13, 2017. “Metabolic syndrome is a health crisis hiding in plain sight,” Metabolic Syndrome Canada; https://www.metabolicsyndromecanada.ca/about-metabolic-syndrome, last accessed July 13, 2017.